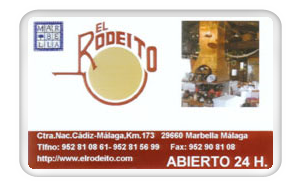 We introduce you the new El Rodeito Card. 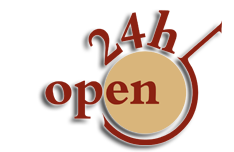 Take advantage of our fantastics special offers free of charge. Becoming a member of this preferred club will allow you to earn points in our restaurant. For every 10 € that you spend with us, you will receive one fidelity point. These points can be redeemed for special discounts when you come and visit us the next time. All you need to do is to present us with you fidelity card before paying your bill so that we can ensure that you automatically receive and accumulate your points. To apply for the El Rodeito Card you will only need to fill in and sign the attached form in our establishment. Fill in your form right now and start enjoying of all the advantages of this preferred club! If you already have El Rodeíto Card. To get information about the amount of points you have in your card fill in the next form and you will be informed by email.